Ishvara Yoga is happy to announce that we will be opening a Tuesday evening class at Little Shelford (Little Shelford Memorial Hall, 11 Church St, Little Shelford, CB22 5HG) beginning on the 23rd of February, 2016. The Tuesday evening class will run from 7:00pm to 8:00pm each Tuesday and will be taught by Anna who also teaches the the popular Monday, Thursday and Sunday evening classes. Like all our classes, the Tuesday evening classes are open drop-in classes for practitioners of all levels. We encourage you to bring a yoga mat if you own one, alternatively we have spare yoga mats and blankets if you don’t have your own. 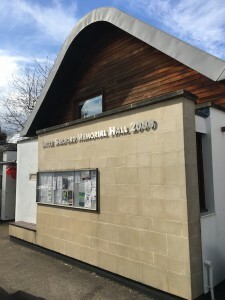 Hi just wondering if you still run yoga classes in little shelford memorial hall on Tuesday evenings?